Shipping, Merchandise: Carrier-based (Canada Post) and calculated at checkout. Shipping, Outside of Canada: We currently offer shipping to Canadian addresses only. Handling Fee – $5.00 flat rate for all online merchandise orders to cover the cost of handling and packaging. Tax – HST will be calculated at checkout. 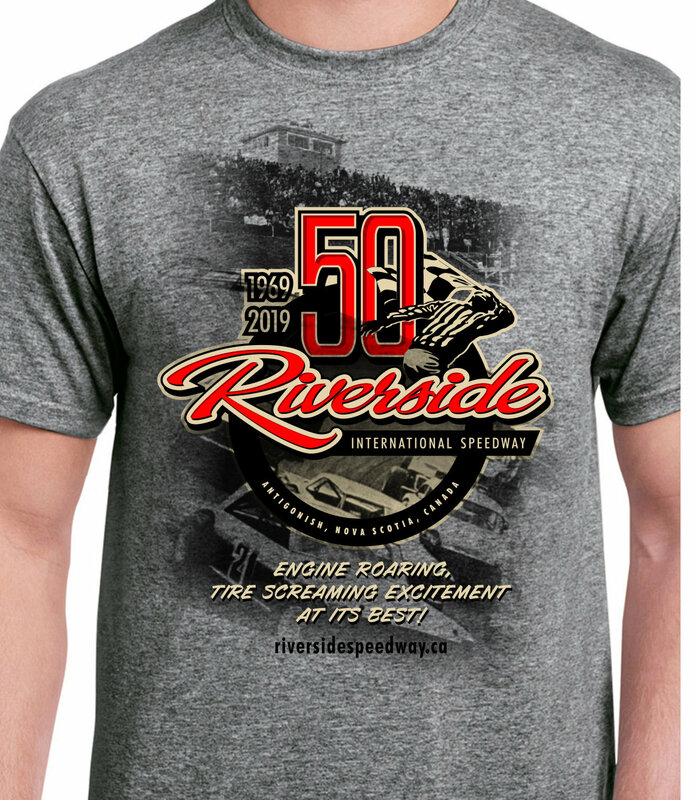 This t-shirt features Riverside's 50th-anniversary logo laid over images meaningful to the history of the track: the original tower and a full grandstand are from a 1977 photo during the inaugural Riverside 250 (now the IWK250) and a 1969 photo during the inaugural Riverside 100 shows late model race cars coming out of turn four.